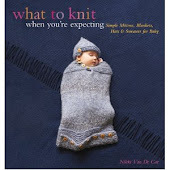 What To Knit When You're Expecting: There's No Calm. There's Just Storm. There's No Calm. There's Just Storm. 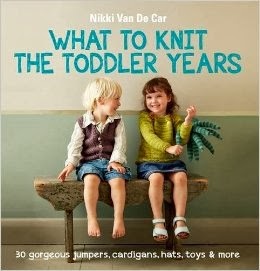 I have all kinds of knitting. I planned an afternoon of sitting in the hammock knitting, and then taking pictures of the knitting. Didn't happen. Just when I was heading out to hammock it up, the doorbell rang. It was our neighbor and prospective house-purchaser. Only she was stopping by because she could no longer buy our house. Dave is sweaty from lawn-mowing, I have bags of knitting scattered everywhere and am wearing very slippy strappy sandals (they're my wedding shoes. I'm trying to break them in). And the neighbor/house not-purchaser says there's good news! She has some other prospective house-purchasers, and they'd like to stop by in the next hour or so. Insert montage of Nikki shoving bags of knitting in closets, straightening the far-too-many-knickknacks, wiping down the stove, slipping and falling in her strappy sandals, marveling at how many scraps of paper Toaster and RockNoodle have scattered on their bedroom floor, Dave raking, sweeping, vacuuming, cutting flowers, clean clean clean frantic clean ohmigod they're here. And then as we're walking around showing the place (very awkward activity, by the way) I'm thinking, my God, we have to wipe down the walls. And maybe it wasn't such a good idea writing the kids' growth patterns on the door jamb. And wow, those windows are dirty. And hey, maybe the low-cut tanning in the hammock tank top wasn't really the way to go. And I have to give away 30% of my books, because Jesus. They're falling off the book shelf. And people like to look in closets when they're looking at houses. Bastards. And then they left. And we collapsed, exhausted. And watched Ronin. And decided that clearly we're wusses, because all we did was clean. We didn't supervise our own bullet-removal surgery or anything.